FieldMate R3.03 efficiently and speedily supports calibration work in combination with Pressure Calibrator CA700. FieldMate enables instant device recognition upon connection and quicker device configuration. To set a function used most frequently to the top screen and to increase productivity of work with easy operation. Device parameter can be exported by text, HTML, Excel format, and customized format by Word or Excel. The dedicated screen is prepared for the new 4-Wire Converter FLXA402 and the SENCOM™ Smart adapter SA11. 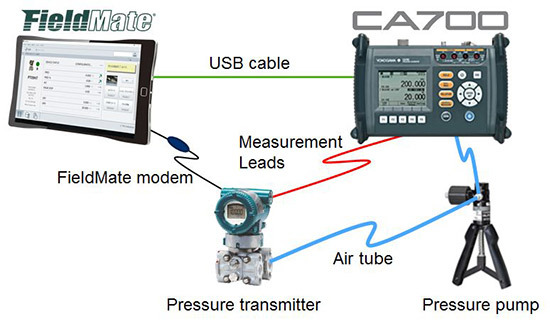 Supports calibration work in combination with Pressure Calibrator CA700. 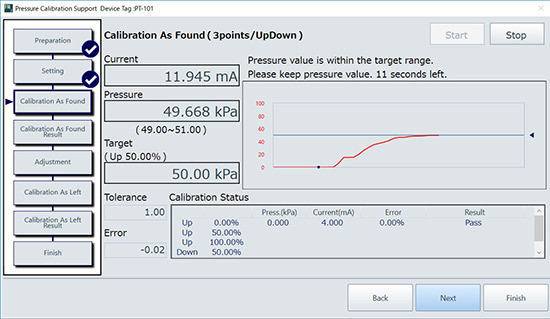 By the graphical interface, calibration work can be performed with monitoring the input pressure. Displaying the message and precaution for the maintenance work together with memo or image is useful for preventing the generation of errors in the maintenance work. Saving the operation log and performing the filter and full-text searching function for maintenance and troubleshooting. Both of FDT1.x and FDT2 DTMs can be worked on the FieldMate, and the latest device DTMs which are enhanced functionalities are available. Displays the current status of the field device including errors, warnings and good status. Device Viewer. 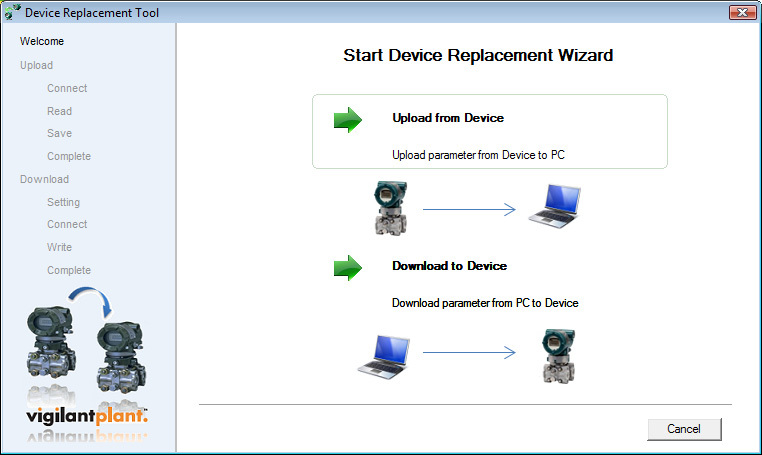 Device parameters can be easily configured. 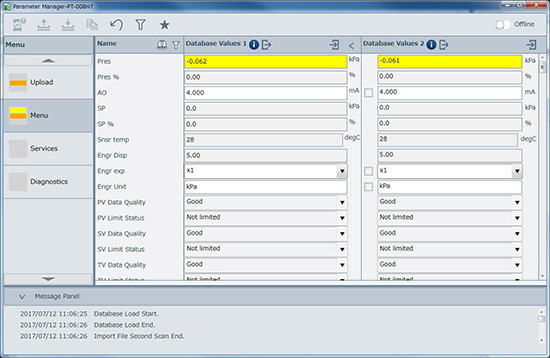 The Parameter Manager is a simple parameter viewing window, in which adjustment and field device replacement can easily be performed. The existing Fieldbus DD is utilized to enable function block configuration. 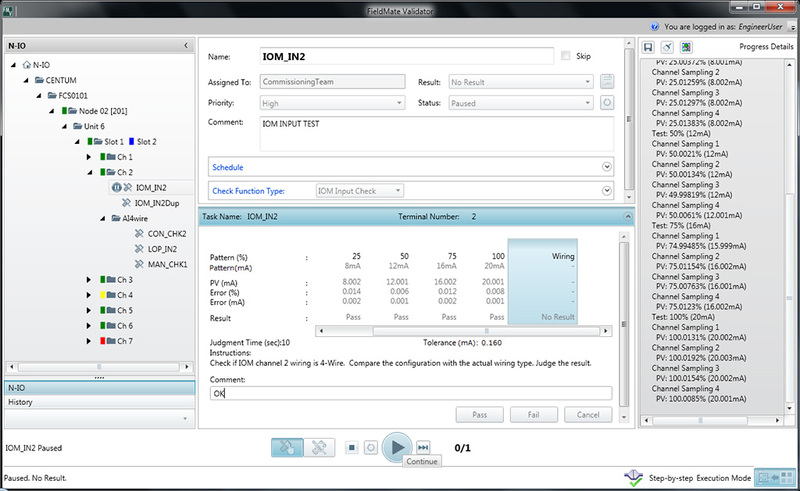 The DTM Works provides not only configuration, but easy setup, calibration, simulation wizards etc. as defined by the device vendors' DTM. It will make device maintenance and engineering work speedy especially when the existing transmitters need to be converted to HART EJA and EJX series. Plus, transmitter HART5 to HART7 conversion is also incorporated. 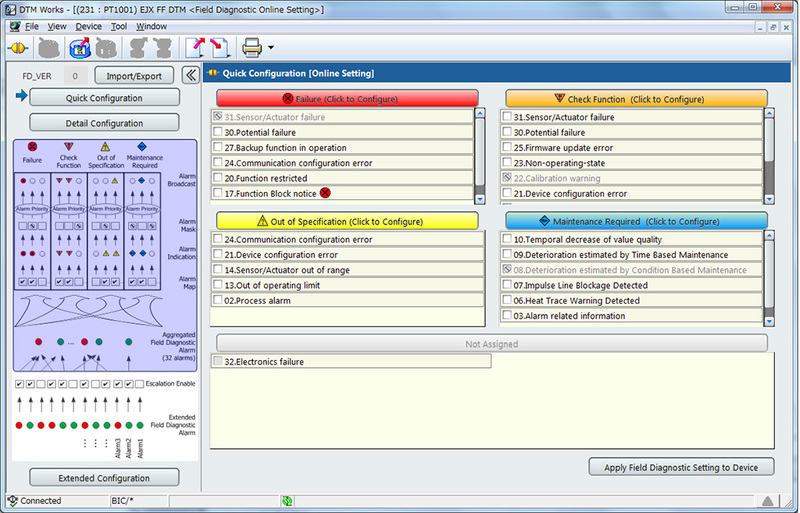 Configuration and confirmation of device alarms conforming to NE107 Field Diagnostics can be implemented intuitively on the graphical display. 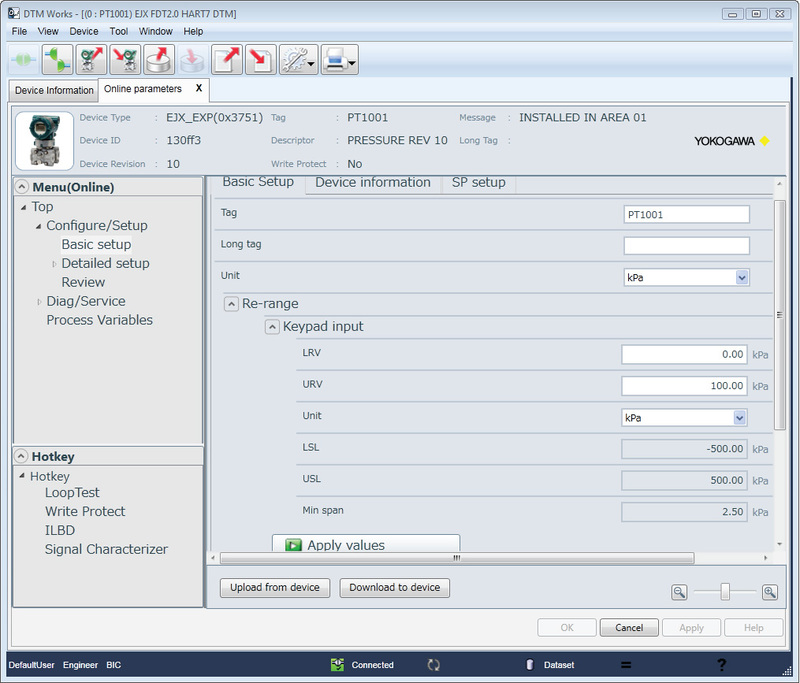 This function is an option for N-IO (I/O module) of Yokogawa CENTUM VP and ProSafe-RS. Validation of connection between I/O module and the field devices is possible by the FieldMate Validator without FCS/SCS. The I/O module configuration and input/output validation are also possible without FCS/SCS. Synchronize information between FieldMate and PRM to make best use of PRM as a master database. Bi-directional file transfer operation is supported. *1:FieldMate Validator is supported with Windows 10 Pro 64bit and Windows 7 Professional 64bit. *2:FieldMate Validator is supported with an English OS and a Japanese OS. *1:FieldMate should connect to device under no host system segment in FOUNDATION fieldbus H1. *7:Interface recommends to use the driver included OS. Version 1.7.0 driver is used if interface does not work well. The following shows the compatibility of revision between FieldMate and Device Files, each DTM. 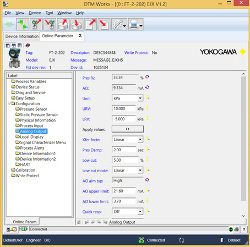 Yokogawa certifies the combinations below. *1: It shows FieldMate revision. FieldMate revision is indicated on the included FieldMate Media label, or starting FieldMate, from main menu, "Help" -> "About FieldMate", current revision can be confirmed. *2: It shows Device Files revision. Device Files revision is indicated on the included Device Files Media label. *3: It shows DTM revision. From Control Panel of your PC, go to "Add or Remove Program", current revision can be confirmed. Excellent operability for high productivity of maintenence work. FieldMate enables instant device recognition upon connection and quicker device configuration. Current device being worked on moves to the top of the screen for easy access. Displaying information via the memo or image file is useful to prevent erros during maintenance work. All parameters are clearly displayed to reduce work time. Parameters are also automatically saved to prevent loss of data. FieldMate supports multi-vendor devices without using a special dedicated tool. 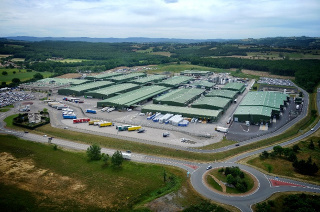 This is done by using the latest open technology FDT/DTM. 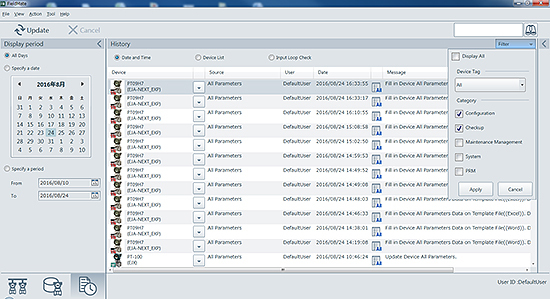 Enhanced device management function for maintenance work. FieldMate automatically registers the device to the database and manages the device information, messages, image files, operation log, device parameter, memo, and document files. Saving the operation log and performing the filter and full-text seaching function for maintenance and trouleshooting. 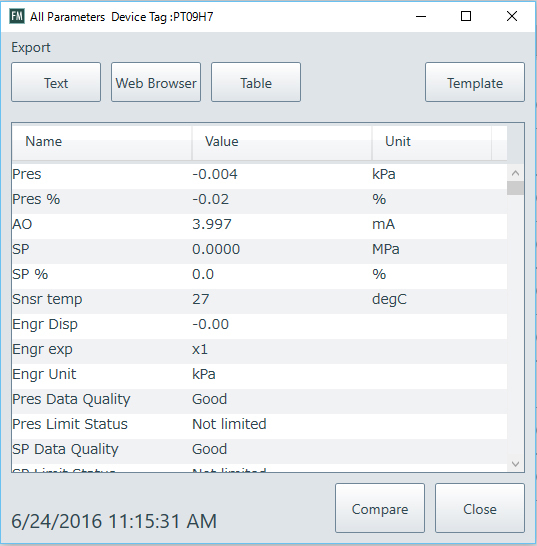 Device parameter can be exported as a text file, HTML, or in Excel format. You can even build customized reports using Word or Excel. 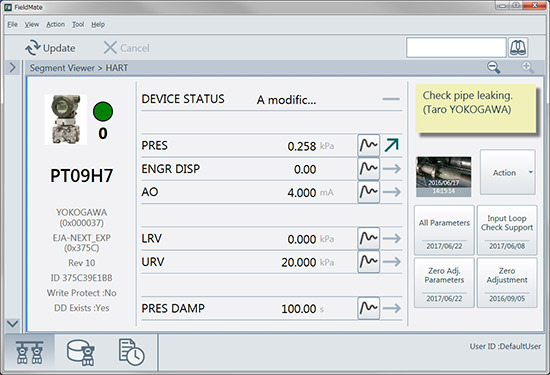 FieldMate and PRM (Plant Resource Manager) device data can be synchronized. With the FieldMate data, PRM can manage the device maintenance history, including commissioning and start-up work. How can I register as FieldMate user? A Please refer to the procedure of the link below. How can I make FieldMate Version Up? How can I know about the scaling of CA700 combination function? Parameter sets of the Green Series controllers are loaded with factory input types including Thermocouples and 100Ω RTDs. Many industrial applications utilize a 10Ω Cu RTD as the temperature sensor of choice. This application note describes the setup and calibration for Green Series controllers for a 10Ω Cu RTD input. 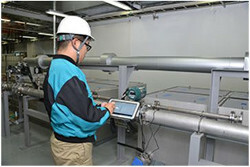 Engineers adjust/configure the field devices during the maintenance, if necessary. FieldMate supports these maintenance works effectively. This web page introduces the Features, Benefits, and usage example. Users go on the patrol to check the situation in the field and check the device status as needed. 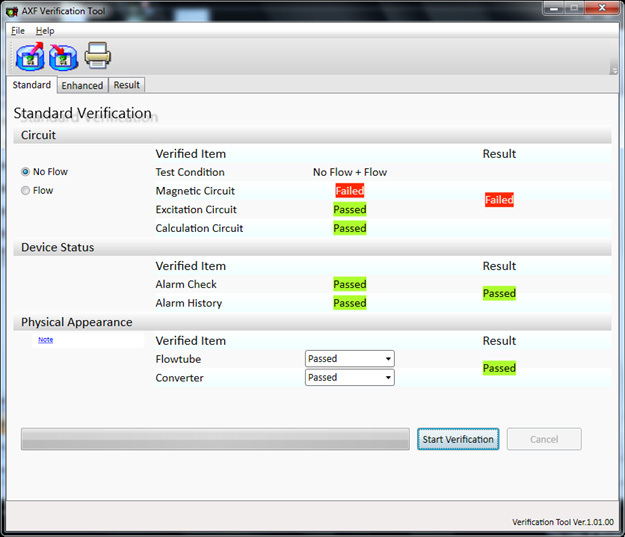 If abnormalities are discovered, users record the conditions and install the maintenance tag onto the field devices to alert other users (inspectors). The FieldMate (Field Device Adjustment and Configuration Tool) can serve in these situations where abnormalities occur to take notes and photos of the conditions, allowing for detailed records. We always make the work completion reports. In the same manner, generally engineers make the reports after completion of the field device installation/configuration/maintenance etc. The FieldMate (Field Device Adjustment and Configuration Tool) can generate these reports for field device parameters (name and values) by only one-touch/click to save the time (it is not necessary to write down the parameter values in the reports manually). These reports also contribute to confirm the parameters values with device status during the trouble, especially. Engineers replace the field device due to some reason such as its failure. FieldMate (field device adjustment/configuration tool) provides the easy its replacement function (copy the necessary parameter values from old field device to new one). Valves require the scheduled inspection and maintenance. 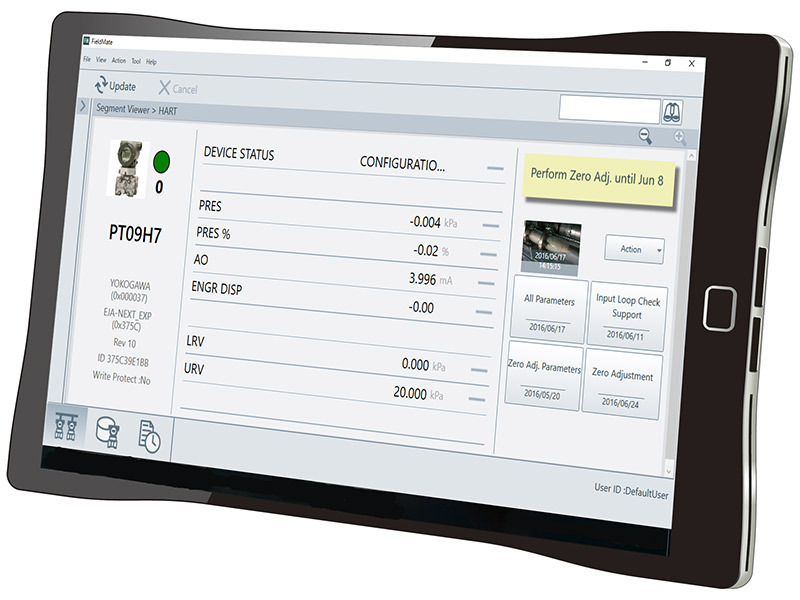 The FieldMate (Field Device adjustment and configuration Tool) provides the user friendly interface to adjust/configure the valves (positioners). 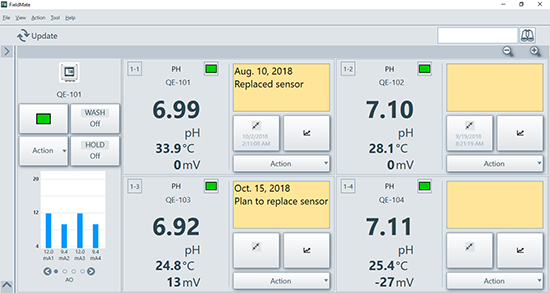 FieldMate supports to check the valve status and to configure their parameter values toward efficient plant operations (especially, saving the time for inspection and maintenance). 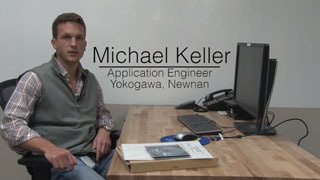 Join Applications Engineer Michael Keller as he guides you through the steps of installing Fieldmate Advanced Software.